Tommy began his writing career in college, choosing to write a one act play for a student showcase for the theater department. The desire to tell stories stents from his early days of playing Dungeons and Dragons® with his friends. 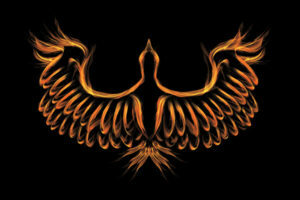 He wrote Rogue’s Phoenix, based loosely on some of the adventures he had during those days. 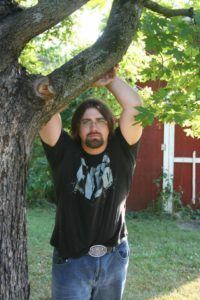 Not knowing what he wanted to be when he grew up, writing was initially a simple hobby that took a great deal of time. 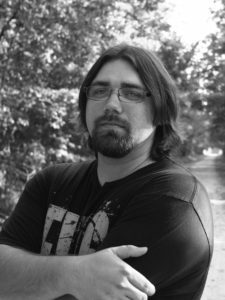 His first attempt at a true novel came when he was diagnosed with Crohn’s disease at twenty-two. Not knowing how to deal with the struggles of his illness, Tommy wrote Mental Health Day, a modern story telling a story of a young man dealing with frustrations with his life. Tommy spent several years working as a facilities director and Emergency Management Manager. The skills he learned there were the catalyst that began the structure of The Divide. 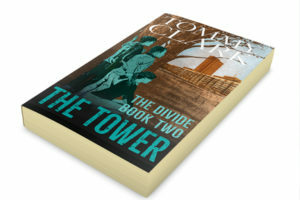 Tommy enjoys Fantasy Fiction, Survival, Steam-punk and Science Fiction and writes in all of these genres. 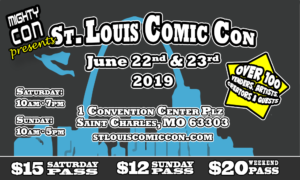 With the help of his co-author Robert Jennings and the support and input from family and friends, Tommy continues to write from his home in central Missouri. When Tommy is not writing, he spends time with his family at the lake and playing board games. 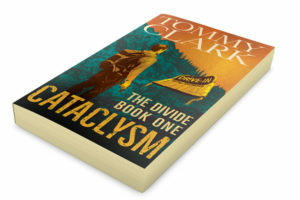 For more information on Tommy, or to find other work by him, visit his website at www.tommyclarkauthor.com.